Cristian is an PSAI Instructor and PADI Master Scuba Diver Trainer and Cave and Cavern guide here at Pro Tec Playa. With years of experience of over the world teaching as well as guiding and exploring, he will ensure your experience is unforgettable. Cristian’s first experience of scuba diving was in the chilled waters of the Pacific, off the coast of Chile in 2005. Here, after completing his Open Water Course he discovered his passion for diving and has not stopped since! A few days after becoming a certified diver he bought all his equipment and continued diving every weekend for the next couple of years off the coast of Chile until he had the opportunity to do his Divemaster Course. The dream of becoming an Instructor and travelling the world was a close step away and has subsequently allowed Cristian to discover thousands of dives in many different and incredible countries and sites. After completing his Divemaster training, Cristian worked in Las Tacas Dive Resort in Chile throughout several dive seasons before heading off to Utila, Honduras to train and become a PADI Dive Instructor. This course gave him the opportunity to choose any country in the world for his next adventure! He chose Cozumel Island, Mexico. Here Cristian worked for a large, busy, high paced Dive Centre and eventually became Assistant Base Leader. During his time in Cozumel, Cristian was invited for a days diving to Chac Mol and Kukulkan Cenotes caverns south of Playa Del Carmen. This first experience was truly unforgetable. He describes it as surreal and otherworldly, in particular the mystic cloud mixture of salt and fresh water known as the Halocline. After returning to Chile for a season of diving in Chile he moved on to the Perhentian Islands, Malaysia. Even whilst on the other side of the world Cristian could not stop thinking about the Cenotes and dreamed of exploring more. He decided to return to Mexico to train as a Full Cave diver and eventuall Technical Diver which would allow him to go even further into these incredible caves and also would allow him to work as a Cavern and Cave Guide. This is exactly what he did and in 2o10 he returned to Mexico this time moving to Playa Del Carmen to be close to the Cenotes. He completed his full cave training and has worked as Cave and Cavern guide ever since. 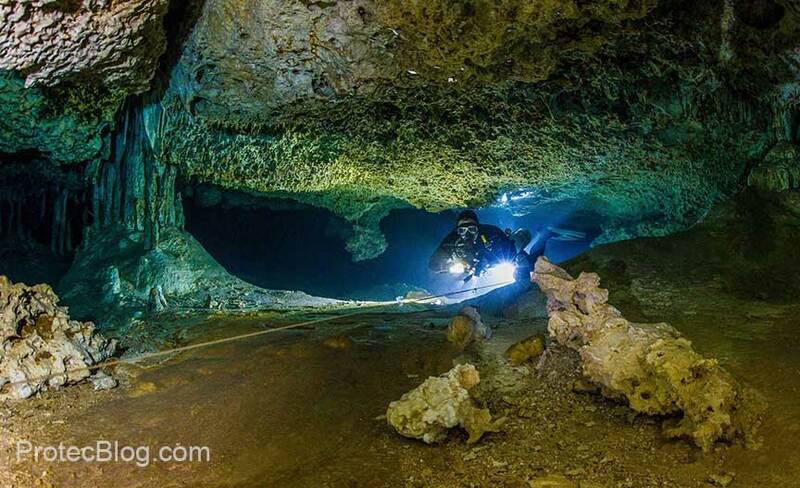 In his free time Cristian can always be found diving one of the many cave systems the Yucatan Peninsula has to offer. Having dived, trained and worked with Pro Tec and its Instructors and seeing the standard of service and training offered this was the only motivation he needed to join the team and become an PSAI Instructor and Guide with Pro Tec! 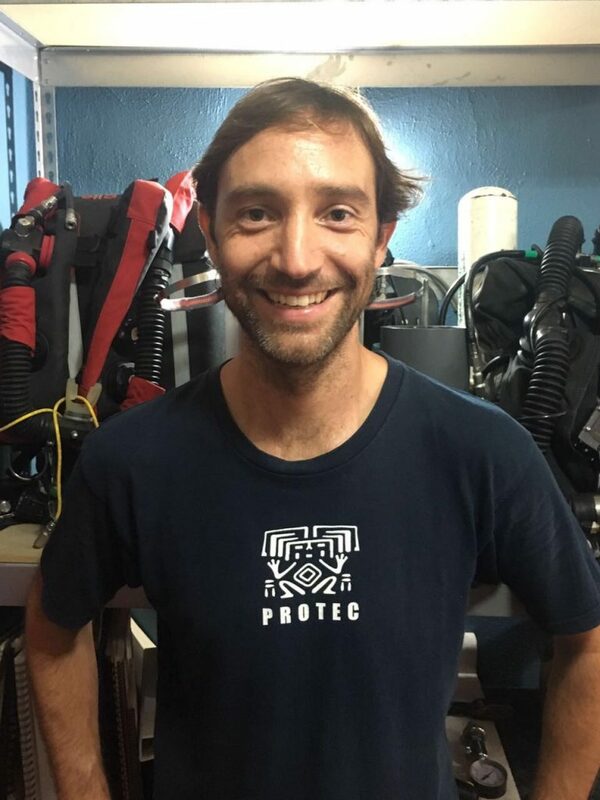 When he is not guiding in Cenotes, Cristian offers training in a variety of specialty areas such as Enriched Air Nitrox, Cavern and Sidemount diving as well as Advanced Nitrox. He also teaches Professional levels such as the Divemaster Course. Cristian speaks and can teach in Spanish and English.